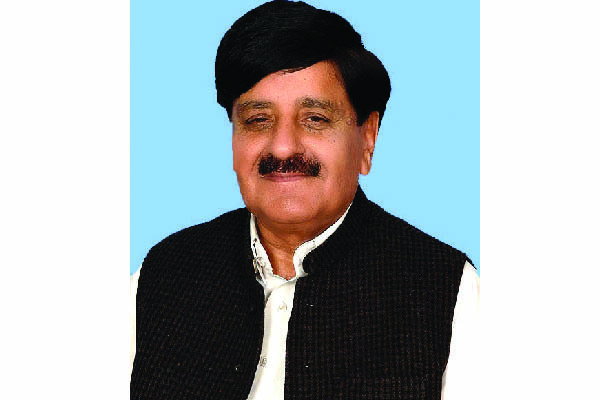 ISLAMABAD, Aug 11 (APP): Minister for Parliamentary Affairs Sheikh Aftab Ahmed on Thursday apprised the National Assembly that Karachi-Hyderabad Motorway was being built on Build Operate and Transfer (BOT) basis by Frontier Works Organization (FWO) adding that as per directive of the Prime Minister it would be six lanes. Responding to a Calling Attention Notice raised by Abdul Sattar Bachani and others regarding non-construction of four-lane Karachi-Hyderabad Motorway and use of sub-standard construction, he said 100 per cent investment was being made by FWO and it would also be responsible for maintenance of the Motorway for 25 years. The minister said there was some confusion as the green built in the middle was being abolished to construct additional lane. The Motorway would be a gift to the people of Sindh from the Federal government, he added. He said service road was also being constructed along the Motorway. Regarding use of sub-standard materials in the construction, the minister offered to hold a meeting at the site of the project and inspect it physically. The Speaker said the minister himself offered to arrange a meeting of the members with Chairman NHA and concerned officials. He also directed to call officials of NESPAK and FWO in the meeting.